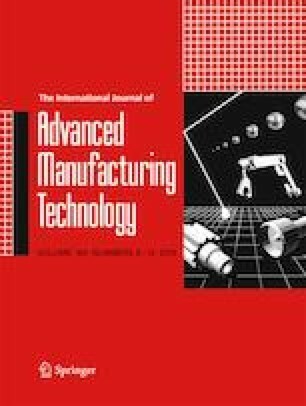 In this study, the microstructure evolution of the Inconel 718 alloy fabricated by selective laser melting (SLM) was investigated by a phase field model. The temperature gradient and the solidification velocity were first calculated from a finite element thermal model of SLM and then used as the input of the phase field model to simulate the microstructure growth with time. The influences of the build height and laser beam scanning speed on the microstructure evolution were studied and evaluated. The results show that the columnar dendritic arm spacing values estimated from the phase field simulations are comparable to experimental and analytical results. With the increase of the build height, the dominated values of thermal gradient and cooling rate decreased first and then slightly increased at the top end of the manufacturing process. The microstructural evolution along the build height agreed well with the experimental test. In addition, with the increase of the laser beam scanning speed, the dominant temperature gradient increased to a certain value and then decreased, and the direction of the maximum temperature gradient tended to be parallel to the part build direction. Moreover, the temperature gradient affects the dendrite growth significantly, a greater temperature gradient resulting in a higher growth speed. The online version of this article ( https://doi.org/10.1007/s00170-018-2814-z) contains supplementary material, which is available to authorized users. The Marshall Space Flight Center fabricated the experimental samples. This work was partially supported by the CFD Research Corporation (Huntsville, AL) through a NASA STTR project.